Boston, MA – March 27, 2019 – Advanced Markets, the leading institutional FX liquidity provider and Prime of Prime, in cooperation with Fortex, the pace-setting Silicon Valley fintech provider, today announced the launch of their MetaTrader5 White Label program. Please feel free to request a Demo here: MT5 White Label Demo. 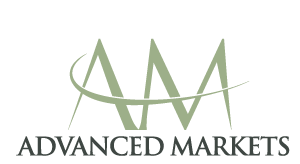 Advanced Markets is a 100% STP / Agency broker and an FCA and AFSL license holder. The company offers its services to wholesale / professional clients only. Advanced Markets provides superior, aggregated Tier 1 bank, non-bank and ECN liquidity in FX, Metals, Energies and CFDs at extremely competitive terms. Through its MetaTrader 5 White Label program, Advanced Markets will be distributing its liquidity to qualified clients. These institutional clients can sign up for the “Fund Manager”, “Individual” or “Quick Start” package. In addition to the MT4 brokerage packages, the service bundles are now also available on the MetaTrader5 (MT5) platform. The “Start your own brokerage” packages by Advanced Markets & Fortex provide commercial access to the fast growing, and high margin, FX market space with its 24 hours-a-day revenue opportunity. Through this all-inclusive solution, new market entrants, who are looking to become Forex brokers, can onboard and service their clients easily. Furthermore they can create their own revenue streams and leverage cutting-edge technology from Fortex alongside 100% STP liquidity from Advanced Markets. On top of that they benefit from the combined, immense experience of the business development and consulting teams. 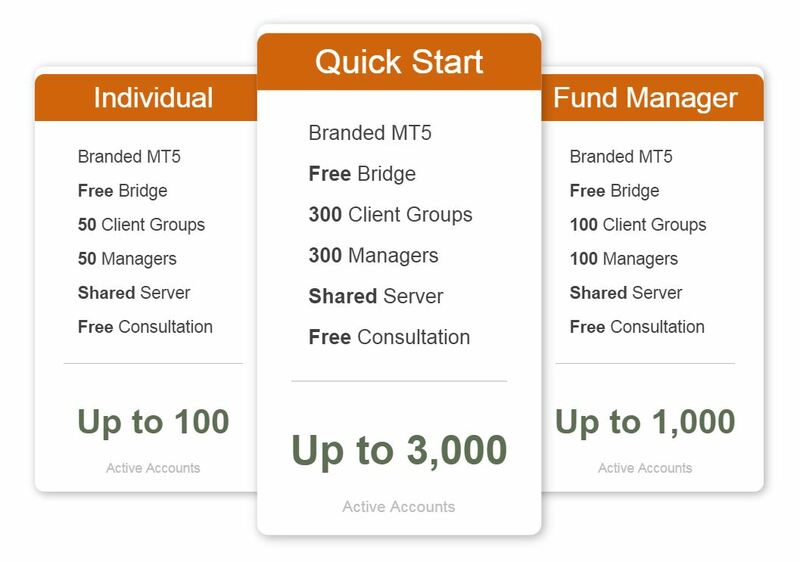 Fully-hosted, and fully-integrated, “start your own brokerage” packages include a branded MT5 (and/or MT4) platform. The platform is hosted in the world’s top-grade NY4 and HK3 Equinix datacenters. Moreover, the brokerage packages include a web MT5 platform, a bullet proof Fortex MT5 (and/or MT4) bridge OMX and a Fortex XBook aggregator. Value-adds include complete access to the expertise of the industry’s top FX consultants. This is in other words a talented team that has already helped over 300 new FX brokers navigate the process of starting their own brokerages. In addition, new market participants will certainly enjoy the freedom to choose website development and marketing tools. Moreover, they get access to other tools to help grow their business and stay ahead of competition. Start Your Own Brokerage with MT5 White Label – Request a Demo here. Advanced Markets is a wholesale provider of liquidity, technology and credit solutions to banks and brokers globally. Our products support direct market access (DMA) trading in spot FX and Precious Metals. They additionally make DMA trading possible for contracts for differences (CFDs) across financial and commodity products. Advanced Markets provides you FX, Metals and CFD trading and credit solutions. Therefore, you can benefit from our services as a fund manager, commodity trading advisor and corporate FX market participant. Through our institutional client base, we estimate that Advanced Markets liquidity ultimately serves more than 40,000 institutional and individual clients in more than 30 countries globally. The company is privately held. Among our outside investors are Macquarie Americas Corp Inc., a wholly owned subsidiary of Macquarie Bank and GFI Group Inc. For more information about Advanced Markets, please visit our website: http://advancedmarketsfx.com/. Fortex is the world’s leading ECN platform. The company has $12 billion in Currency, Metals, Energy and CFD trades as well as 500,000 tickets a day for tens of thousands of traders around the world. Our powerful Fortex platform, Fortex 6 application for traders, sophisticated cloud infrastructure and middleware solutions are valuable assets of our company. These assets have, above all, revolutionized currency, commodity and equity trading. Therefore, traders, broker dealers, market makers, money managers, banks, hedge funds, and investors around the world rely on Fortex. Clients use Fortex’s strengths to accelerate trade execution and utilize sophisticated trading strategies. Most successful currency trading firms, for instance, have built their FX businesses on our platform. Fortex is headquartered in Redwood Shores, California. Our other offices are in New York, Boston, Hong Kong, Shanghai and London. The company is privately held. For more information about Fortex, please visit our website: http://www.fortex.com.